This watch features a stunning coloured mother of pearl dial with nickel plated daupine hands, is powered by a super-accurate quartz movement and also features a beautiful stone set bezel. 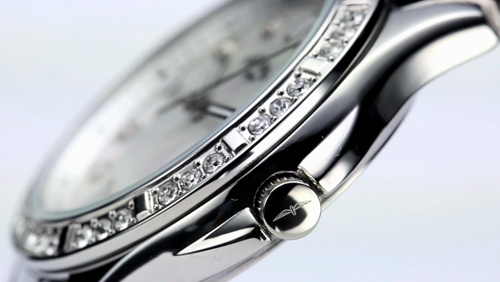 It neatly accommodates a date window, and has a stainless steel link bracelet secured by a deployment clasp. Finally, the watch is secured by a double O-ringed crown so carries our Dolphin Standard guarantee so you can swim and dive all day. 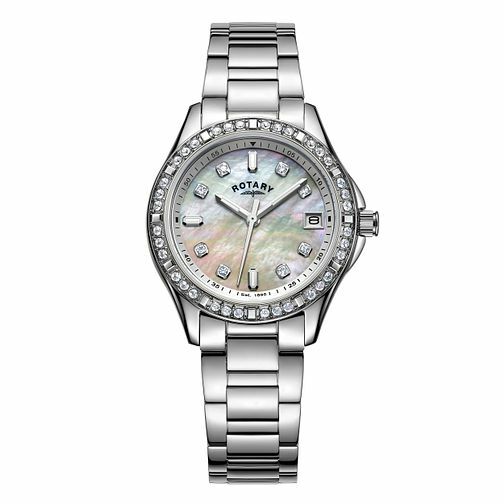 Rotary Ladies' Stainless Steel Bracelet Watch is rated 3.7 out of 5 by 7. Rated 5 out of 5 by Anonymous from Lovely watch Lovely watch nice face well made excellent wedding gift.